WHAT’S THE FIRST ARC YOU EVER RECEIVED? 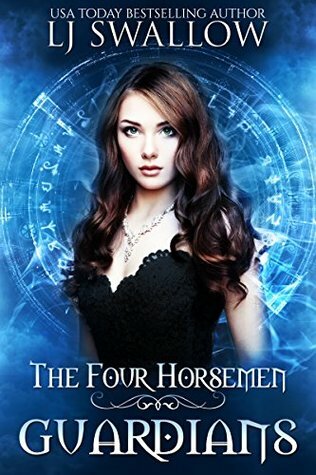 The very first ARC I received was Guardians (The Four Horsemen Book 4) by L.J. Swallow. I was extremely excited for this book, because Lisa had added me to her ARC team. When I joined her Facebook group and saw that she was looking for more ARC readers, I was surprised that was how INDIE authors did it. But I remember feeling so excited for this opportunity. I mean, receiving a free copy of a book you’re waiting for, and all you have to do is post a review. Awesome! WHAT ARC WOULD YOU SELL YOUR SOUL FOR? Okay, this is probably a bit misleading. But at the moment I’d sell my soul for the fourth and fifth book in Rick Riordan’s Trials of Apollo series. 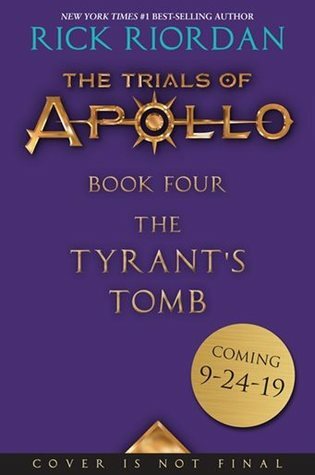 I’m still to read the third book, because if I’ve learned anything from his previous series (Percy Jackson and the Olympians & Heroes of Olympus), it is that the third book always ends on an awfully cruel cliffhanger. But man I would love to get my hands on the last two books so I could binge read them. USING ARCS YOU HAVE RECEIVED OVER THE YEARS, SPELL OUT A-R-C. ULTIMATE QUESTION: TO DNF OR NOT DNF AN ARC? I have issued DNF’ing books in general, but I do go out of my way to always finish ARC’s. Especially when I’ve received physical books from INDIE authors. I have yet to DNF any ARC, but I just know I would feel really bad about it, when the writer have gone out of their way to send me a physical copy of their work. NAME AN ARC YOU DNFED AND AN ARC YOU COULD NEVER DNF. As stated above, I have yet to DNF an arc. As for one I could never DNF, all of them! Even when I’ve felt like it, I’ve powered through. I’ve been lucky enough that the times I’ve felt like DNF’ing an ARC, it’s been due to my personal taste and not due to the writing. WHAT ARC DID YOU GO OUT AND BUY A FINISHED COPY OF AFTER? The list is extremely long! More often than not, I do buy the finished copy if I liked the book. Without a doubt eBooks. I’d say at least 90% of my ARCs are eBooks. I’ve never received an audio ARC, and “only” a handful of physical ARCs. GIVE BLOGGERS ONE PIECE OF ADVICE REGARDING ARCS (REQUESTING/REVIEWING). I think the best advice I can give is only to request books that you’d go out and buy yourself. It’s easy to go really crazy and just request everything, especially when you first get a Netgalley account and see that there are literally thousands of books that publishers are making available for you. If you limit yourself to books you’d actually go out and buy, you won’t end up with such a backlog of ARCs needing to be reviewed and you’ll be more likely to actually enjoy the books. I should really follow this advise more myself, because I feel bad when I have to rate a brilliant book low, just because I was the wrong reader. Do you like doing tags? What was your first ARC? Your favourite ARC? Let’s chat in the comments! My tag queen is back! Woo hoo! ♥️ Fun tag, Bibi! I’m so glad you did the tag! Honestly, I should probably follow my own advice too. I’m a lot better than I used to be, but sometimes I’ll still impulsively request a bunch of ARCs and end up with a whole (virtual) pile of books needing to be reviewed. Yeah I know that too well, so I too need to take your advise to heart lol. Otherwise I have too many I only wanted at the moment, which then makes it seem like a chore.